You are here: Home / News & Events / Does recent news on performance-enhancing drugs mean a black eye for American baseball? 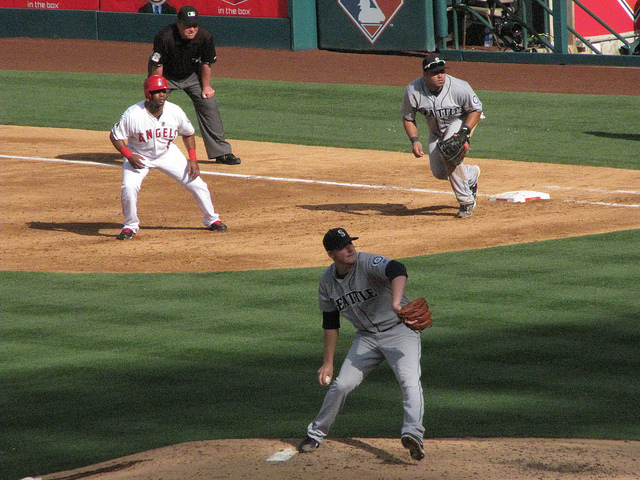 Does recent news on performance-enhancing drugs mean a black eye for American baseball? The talk around town today is about ESPN’s breaking news on the suspected use of performance-enhancing drugs among Major League Baseball players. 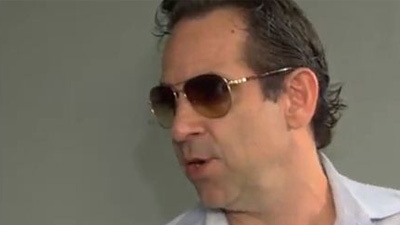 The global sports network giant is reporting that Tony Bosch, founder of the now closed Biogenesis of America Clinic, is talking with MLB investigators and naming specific players suspected of using these PEDs. Today, I had the chance to visit the WAKR studio and speak with host Ray Horner about this topic and what it means for American baseball. We also talked about the recent mysterious injuries of Trent Richardson and Nerlens Noel. We discussed the possible severity of these injuries and what they may mean for these players’ careers. Horner: The big news breaking today has to do with the performance-enhancing drug story. ESPN’s “Outside the Lines” is reporting that Tony Bosch, who founded the now closed Biogenesis of America, is reporting that he is now talking to Major League Baseball investigators and is naming names. 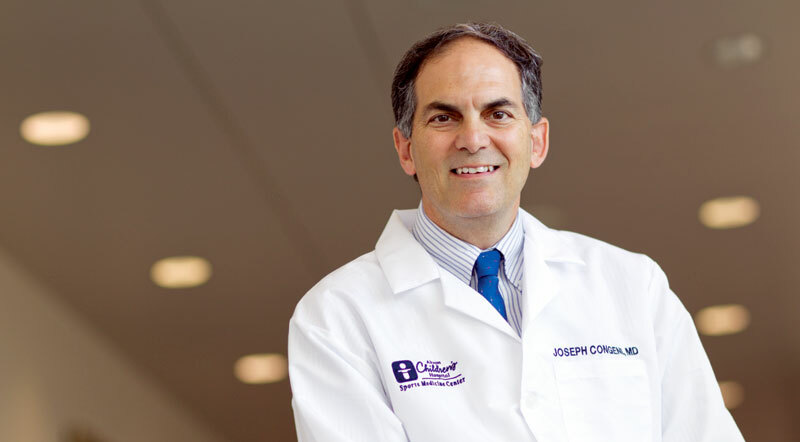 This story is certainly hitting the news and when you talk about sports medicine, we like to bring in our guy, Dr. Joe Congeni from Sports Medicine Center at Akron Children’s Hospital. Joe, this has to be troubling when we see this story breaking again about the PEDs. Dr. Congeni: It’s troubling, but not at all surprising. Horner: That’s what I said this morning. Dr. Congeni: You and I have talked about this for awhile. We know that this is a cat-and-mouse game, and that the way it’s being played is every time we come up with new testing, there are people in the lab [finding] new ways to come up with performance-enhancing drugs that can’t be identified on the test. So, we knew that in these labs the news was going to break at some point. So, I’m not at all surprised. Horner: Some are saying this is good for baseball to get to the bottom line. I say it’s another black eye for baseball. Because as you said, things just continue to change and change, and when there’s so much money on the line, players and other people are going to work hard to give the advantage to them and to others. Dr. Congeni: Yeah, it is a black eye. That’s a good term. The issue is with that, Ray, now it’s been like a black hole in baseball for 10 years, 15 years, 20 years. You don’t know who used, who didn’t. You don’t know if the statistics [are accurate] and what they meant. You don’t know who’s going to get into the Hall of Fame. It’s just this huge black mark on the sport of baseball. And, I don’t think necessarily that we’re at the end of it just because of this big revelation. Horner: Joe, explain to me next what we’re hearing a lot of in regards to these creams that are now the next application, along with the injections, that will be coming out. We’ll get more on this report from ESPN certainly in the next day or two. But, what we’re hearing a lot, Melky Cabrera (Toronto Blue Jays), Bartolo Colón (Oakland Athletics), some of the other players have gone to the cream because it gets in and out of the system quickly. Can you explain that? Dr. Congeni: It does. And we’re using creams in a lot of different areas — a lot of topical-type medicines — because you get pretty good absorption through the skin. It’s just a very easy application and they get absorption and are able to get the benefits pretty rapidly of these performance-enhancing drugs. Horner: When we talk about the PEDs, I guess you could probably say this better than me, do they help build strength and endurance? Do they [reduce] the aches and pains? Do they help you recover quickly? What is the advantage? I think that’s what the average person wants to know of using these PEDs. Dr. Congeni: They clearly help build strength. That’s the biggest issue. Endurance? That’s much more questionable, but … there’s no doubt that it helps build strength. The other part is it helps the body to repair injury quicker. And so what goes on all the time in sporting events is the body buildup and breakdown. The body breaks down as we play sports and builds itself back up. And basically, what you’re doing is increasing the reparative properties of the body. Horner: Joe, another thing, when you talk about Cleveland sports: Trent Richardson (Cleveland Browns), my goodness. Last year, couple of injuries, broken ribs throughout the season, missed most of training camp. And now, we hear he’s out until August again with another injury? Dr. Congeni: Yeah, there are a couple of big mysteries going on that really have a lot to do with the future of Cleveland sports. 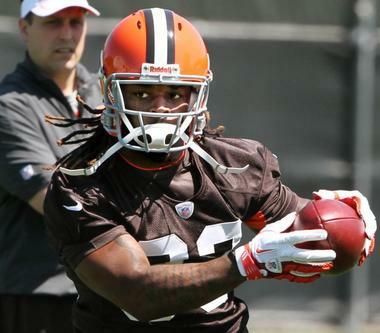 One of them is everybody in the sports medicine world, Trent Richardson, [is asking is he] in or is he out? Is he injury prone? What the heck? A lower-leg strain [that has kept him] out this long? That doesn’t really make any sense. So, we’re trying to read between the lines. An injury that is a very big concern that involves the muscles of the lower leg — between the knee and the ankle — is an injury known as exertional compartment syndrome, or compartment syndrome. That’s an injury that’s become a very well-known sports medicine injury and it’s not just a strain that would last just a couple of days or weeks. This is a problem where within the compartment of the lower leg — there’s the muscle, there’s a big covering, there’s the nerve endings and the blood flow — and what happens is if these muscles get overloaded or if these muscles increase in size, there’s intense pain when people try to run and play sports. So, it’s treated through rest and physical therapy and other things. But, it’s not just a strain. It’s not the kinda thing that’s going to go away in a couple of days. It sometimes does require surgery. So reading between the lines, I think, this muscle problem is probably what is really what’s known as a compartment syndrome for Trent Richardson. Horner: Yeah, I was reading on it last night. They were saying a lower-leg strain. When I think of strains, I usually think of muscles, or tendons or ligaments, but they were saying on the shin, like a bone or something. Dr. Congeni: Right, right, right. And they were combining it with the possibility of a stress fracture. We know in sports medicine, it is a stress fracture or it is not, and I think this problem is one that is pretty common in sports medicine. We see it every day in our office, this exertional compartment. They are trying to make decisions with Richardson. The best thing would be if he settles down in the next six weeks and goes to camp, but that is definitely not a sure thing. We’ll have to follow that one carefully because it has a lot to do with the future of the franchise. Horner: I was going to say, is that then a common weakness in the leg area? Is that what you’re afraid of in the long run? Dr. Congeni: Yeah, you are and you’re concerned that this does not get better on its own [or] sometimes you have to, ultimately last step, do surgery to fix it. There’s even some talk about him going back home to Pensacola and being there where Jimmy Andrews is and all this kind of stuff and being around his therapist. I don’t know if you’ve seen that talk lately. So, it has a lot to do with the future of the franchise. The other franchise whose future is in the balance that I wanted to just mention is the Cavaliers. I mean, we got the No. 1 pick and everybody’s excited about that. Most people around basketball were talking about a gentleman by the name of Nerlens Noel as being a surefire pick in the middle of last year. This young man, incredibly athletic, but he tore his ACL, right? Dr. Congeni: A torn ACL is not necessarily a big deal or a deal breaker for athletes anymore [where teams] say, I wouldn’t take the guy. But, the latest thing that came out this week is that as a sophomore in high school in the same knee, he had an injury to the growth plate on that side. This is going to be a big touchy subject for the Cavs to make a decision on this. Now, growth-plate injuries are not a big deal. I see them all day; I’ll see 20 of them today. But, fractures of the growth plate that didn’t heal well that could be involved with his ACL, now you’re getting into what could be a big deal. There is a gentleman by the name of Greg Oden that you may remember from a few years ago who has not played at all again. His seemed to be a straightforward knee injury initially, but that young man has never been able to return to play. We don’t have all the information. Growth-plate injuries by themselves are not a big deal; I see them all the time. But, did his heal? Did it have something to do with his ACL? You better believe the Cavs better be doing their due diligence. A couple weeks from now if they pick Nerlens Noel, you know they must be comfortable with the medical part. And a couple weeks from now if people shy away from Nerlens Noel, that may have something to do with medical issues. Horner: Why is it more concerning, just to be medical a little bit, with these growth-plate fractures? Dr. Congeni: So these growth plates — there are over 200 of them around the body — are the weak link in the bone-muscle-tendon chain of younger athletes. So, instead of seeing torn ligaments a lot and tendon problems in young athletes, these growing areas that are weaker get torn and overloaded and swollen and fractured. When treated appropriately, they heal very well — 100 percent healing. But, if they are not treated right, particularly with a fracture, it can end up being a weak spot that sometimes does predispose people to ACL injuries and things later. If Noel’s injury, who missed his whole sophomore year in high school from a growth-plate fracture, was not treated properly and it was a part of his ACL and it never healed quite right, then that does become a big issue in trying to decide whether to cast your lot in the future with this young man. Horner: So, if you would put those two together, worst-case scenario, does this guy then have an NBA future or is he Greg Oden or what? Dr. Congeni: Oh absolutely. Worst-case scenario would be Greg Oden. On the other hand, what I’m trying to say is that these are very common and usually no big deal, and actually a sign this young man was still growing a lot in his sophomore year in high school. He looks like a late grower. He’s incredibly athletic when you see him on film. He was the surefire, no-brainer first-round pick like I said six months ago, but now you’ve got to do your due diligence to find out what’s going on medically. You can’t afford again in Cleveland to miss on a guy like that who’s going to be a medical headache for years to come. I’m saying most of the time these growth-plate fractures are no big deal and it may be smoke where there’s no fire. Horner: Alright, Joe. Thanks for coming in this morning, appreciate it. Dr. Congeni: Okay, thanks, Ray. 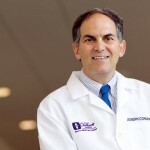 Horner: Dr. Joe Congeni, Sports Medicine Center at Akron Children’s Hospital. What does LeBron's recent anti-inflammatory injection mean?